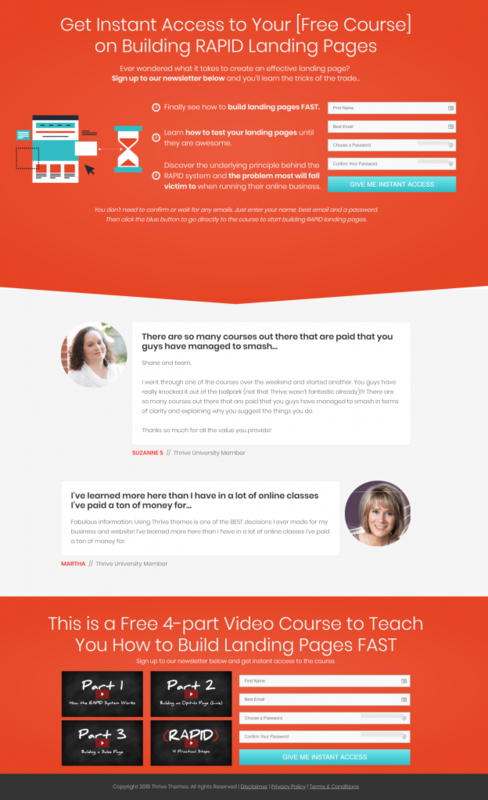 Have a killer opt-in offer and the ability to collect email addresses with an opt-in form. 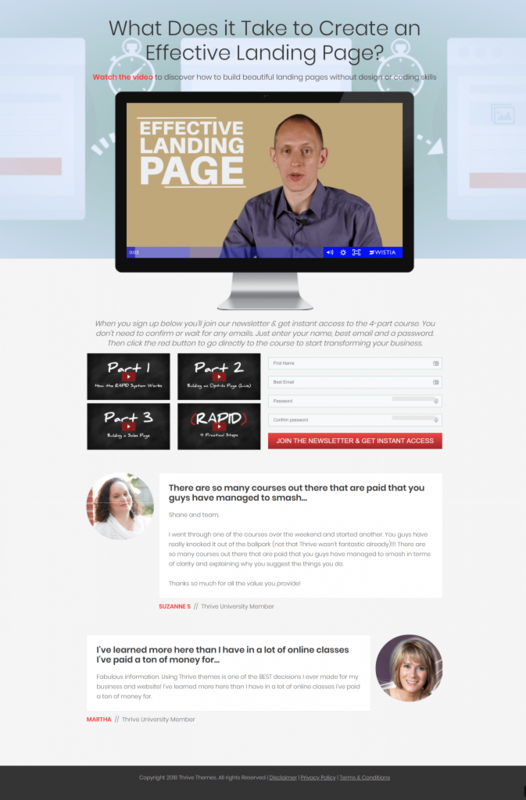 A decent lead generation landing page for your offer to send your Facebook ad traffic to. Need to learn how to make one? 3 images, 3 headlines, and 2 ad texts to create 18 total ads. For example, one thing the algorithm takes into account is the level of engagement your ads get through “likes” and comments. An ad with lots of comments and discussion will get preference over one with none. 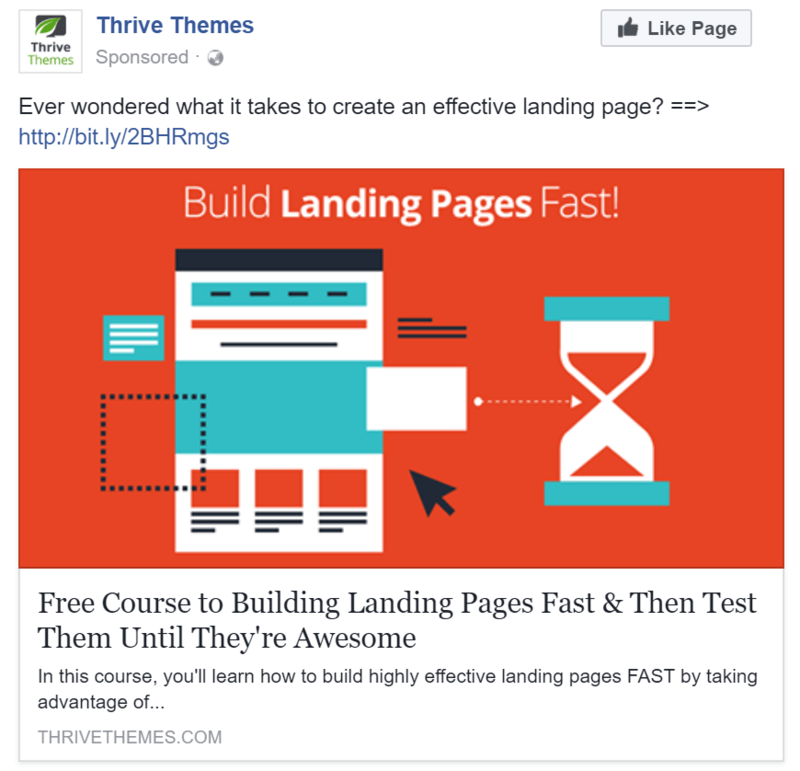 At this point, you have 2-4 high performing ads sending visitors to your original lead generation landing page from Facebook. This means you want to test landing pages blatantly dissimilar from each other (like the difference in weight between a bowling ball and paperclip) because it takes less time to find if one is getting significantly more sign-ups than the other. 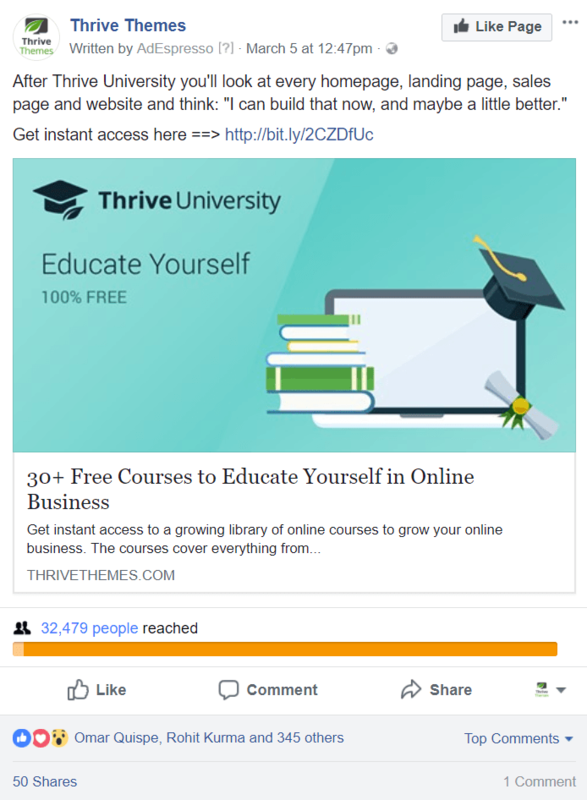 And if your ‘re-dip’ variation wins, Thrive Optimize makes the switch automatically, which means you don’t have to make a new Facebook ad campaign. 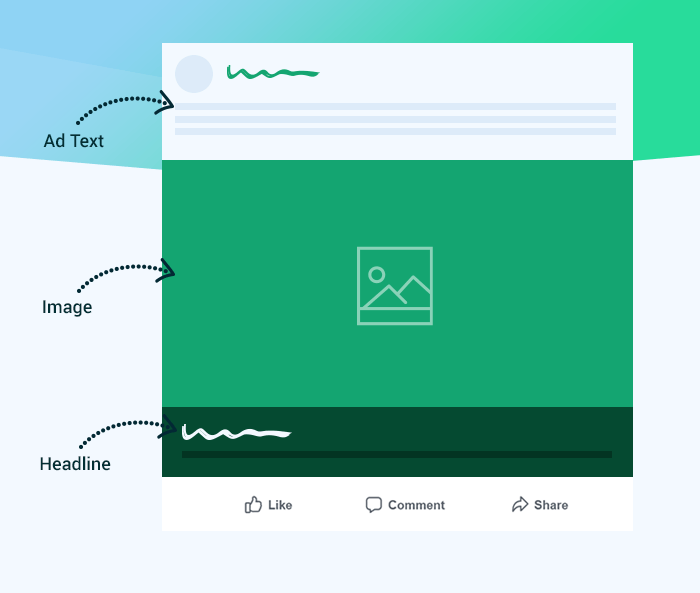 You get to keep your winning ads running (the ones already pleasing the Facebook algorithm with good social proof through likes, shares, and comments), while also improving your landing page conversion rates at the same time. Sounds difficult… outsource your Social Media Marketing and let our experts manage it all for you. Contact us now (402) 810-6971 for more information!